“These are not natural disasters,” Chan told the 69th World Health Assembly in Geneva this week. 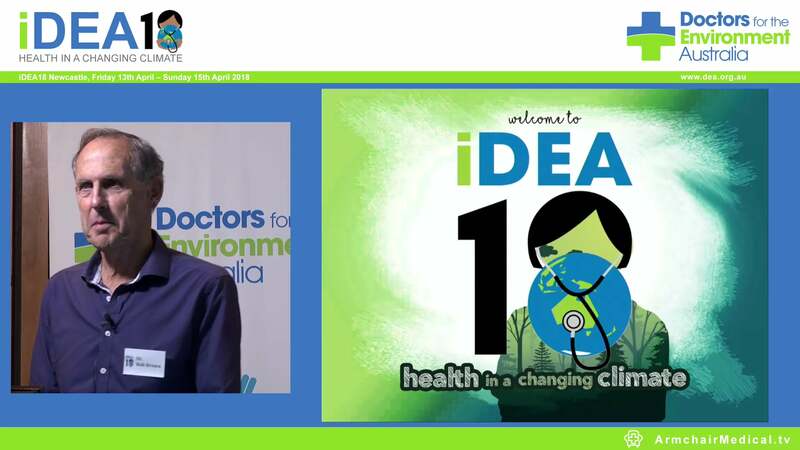 Meanwhile, two members of Doctors for the Environment Australia – public health physician Dr Douglas Shaw and neurologist Professor John Willoughby – explain below why the DEA has closed its account with the Bank of South Australia. And they urge Australian health professionals to move their money out of fossil fuels and invest it in sustainable industries. Divestment is dis-investment: the deliberate movement of money away from a particular asset class to starve it of life. Divestment activities from coal, oil and gas range from the $900 billion Norwegian sovereign health fund, the $4 billion dollar Rockefeller Foundation, through to major divestments by universities, health and medical organisations and individuals. Medical group Doctors for the Environment Australia has been a leading organisation in the growing fossil fuel divestment movement, and last week (18 May), closed its bank accounts with the Bank of South Australia. 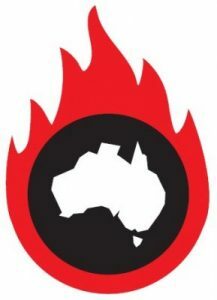 Although BankSA has no direct investments or loans with the coal, gas and oil sector, our action diminishes this financial institution’s contribution of profits to its parent company Westpac – a significant contributor of loans and investment for the fossil fuel industry. Production and consumption of fossil fuels is the leading contributor to rising world temperature leading to climate change. While many individuals think of warmer days, sometimes with pleasure; doctors equate them with ‘more mosquitoes carrying diseases to more people’, ‘more heatstroke affecting the very young and the elderly’, ‘more distressing burns and smoke-damaged lungs and loss of life in worse bushfires’, ‘more drownings and more water-born disease with floods’, ‘more anxiety, depression and suicide in drought- choked rural communities’. Australia has good infrastructure and good capacity to help our fellow citizens. In heavily populated developing countries, famine, civil disruption, mass migration are long term consequences of what in Australia will be found to be severely challenging. Inevitably, though, in a globally connected world, we are not immune to these challenges. A recent report from Doctors for the Environment Australia and the Climate and Health Alliance describes our response to climate change as the defining health issue of the 21st century. The report encourages health professionals, health organisations, and super funds to divest from unhealthy investments and to re-invest in healthy alternatives. Health professionals have a duty of care to protect human health, and prior to fossil fuels we have divested from tobacco, arms, gambling and alcohol. It was doctors who first responded to the evidence connecting smoking with lung disease and cancer. The effectiveness of the anti-smoking campaign was in part due to the contributions of groups of health professionals who insisted, for example, that their superannuation funds did not support tobacco industries. Perhaps the best-known example of the power of divestment was the breaking of apartheid politics in South Africa. Years of logical, ethical and judicial argument counted for little until the squeeze of investment withdrawal changed the political dynamic. The evidence that fossil fuel investment contributes to ill-health is compelling. Bank SA is owned by Westpac, who since 2008 has lent almost $6 billion to the Australian fossil fuel industry. While Westpac’s Chairman has recently acknowledged the need for action on climate change, the continued investment in new fossil fuel projects does not demonstrate the concrete action needed. This action is urgent, as it is clear that most of the world’s known fossil fuel reserves must remain in the ground if we are to have any chance of achieving the global aspiration set out in the recent Paris climate change meeting to limit temperature rise to 2 degrees C.
There are well documented concerns that investments in fossil fuels are risky, with market value in some sectors falling significantly. The global decline in their price is considered by many analysts to be a structural, rather than cyclical. Studies also show that investment portfolios free of fossil fuel investments tend to track non-divested portfolios closely in terms of return, and can sometimes outperform them. Businesses are well known to have a statutory obligation to maximize profit. This is undoubtedly seen as a justification for pursuit of maximum profit by all legal means. The challenge is to break the chain leading to more global warming which, if left uncontrolled, will have terrible implications for all of us on this planet. Our politicians have largely failed us, driving concerned citizens to use their investment dollars to starve fossil fuel businesses of their financial energy (irony noted). Health professionals’ mission is to improve people’s lives. Climate change could negate the last 50 years of gains in public health. We urge Australia’s more than 600,000 health professionals, including doctors and nurses, to move their money out of fossil fuels and invest it in sustainable industries. Dr Douglas Shaw is a public health physician, and Professor John Willoughby is a neurologist. They are are members of Doctors for the Environment Australia. First published in Croakey on 25 May 2016.